Porsche followed up its hit Mission E electric sedan concept from last year with a lifted wagon version at last week’s Geneva Motor Show. While only the sedan is confirmed for production next year, it could lead to more variants including a coupe and convertible. Porsche’s head of electric vehicle development, Stefan Weckbach, discussed the possibility of a two-door electric sports car based on the Mission E platform in a roundtable interview this week. The options on the table are a coupe, convertible and possibly rear-wheel drive models, according to Car And Driver. But prior to the debut of any models built on the joint Audi/Porsche PPE (Premium Platform Electric) EV platform—still three or four years out—there may be other Mission E variants on the way. “If you talk about two-door cars or convertibles, the [Mission E] platform will be ready for that,” he said this week at an auto show roundtable interview. The Mission E platform, also known as the J1 platform, was developed solely by Porsche, and is not to be confused with the broader electric sports car platform Volkswagen Auto Group is also developing. 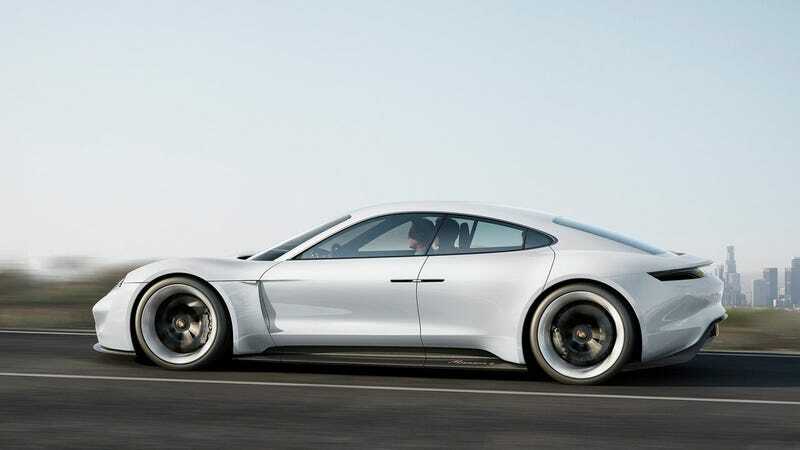 It would seem that Porsche is interested in spinning out the Mission E concept into a family of electric vehicles separate from the rest of VAG, and separate from future electrified Porsche models. The good news is that the platform is not ideally scalable to larger crossovers and SUVs. That’s also the bad news, as there is sure to be a demand for larger electric vehicles, too. As noted in the Car And Driver article, the only issue with a RWD electric sports car would be the unnecessary loss of regenerative braking versus AWD. An AWD setup also provides better performance handling, so if Porsche does decide on a RWD car, it will simply come down to wanting to have more fun. Do we trust Porsche to embrace fun?